The wedding season is looming around and 'Indian wedding dress for girls' has become a hot topic what with the new launches and quirky ethnic choices available in the market today. 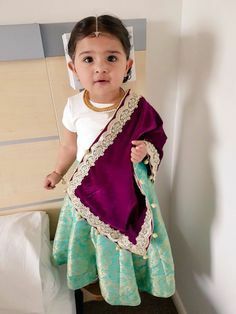 I for once just LOVE shopping ethnic wear for my 3 year old niece - the whole ordeal is just so mesmerizing and the final outcome when my Niece actually wears and flaunts those ethnic pieces melts my heart - SO CUTE! We have already discussed about the best Mehndi outfits for women many a times on this space so today I thought of penning down some great Ethnic Mehndi/Wedding outfit Ideas for little girls instead. 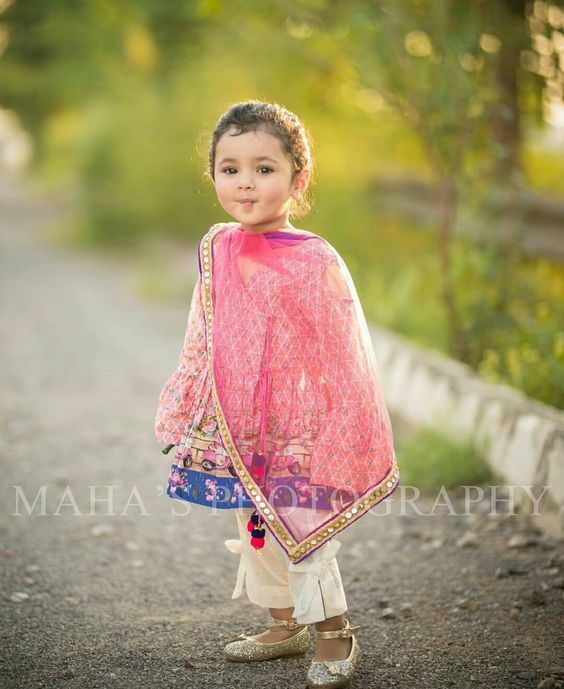 Traditional Indian baby clothes have a charm of their own and can easily make your baby girl stand out among others. Why should only women have all the fun dressing? Let's take some effort and make sure our Princess looks absolutely smashing on that special function too! The wedding season is in full bloom and the much awaited festive season is round the corner too. 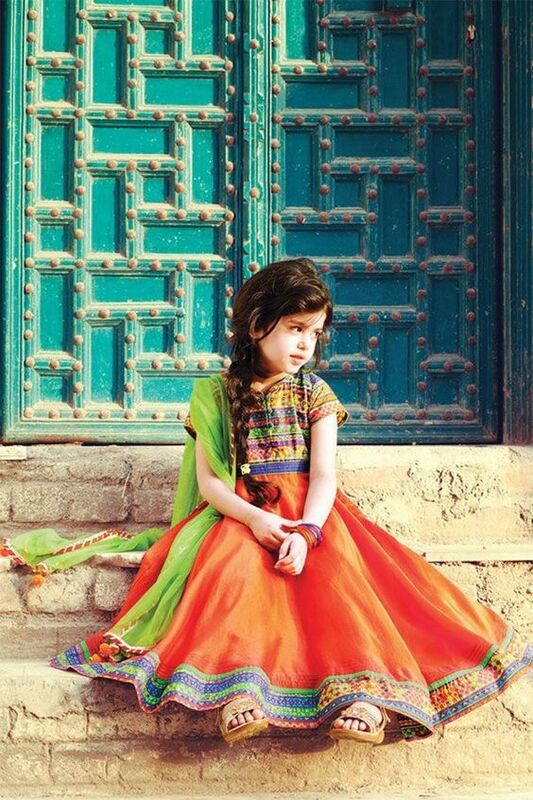 This is the best time to dress your princess in a gorgeous ethnic outfit. 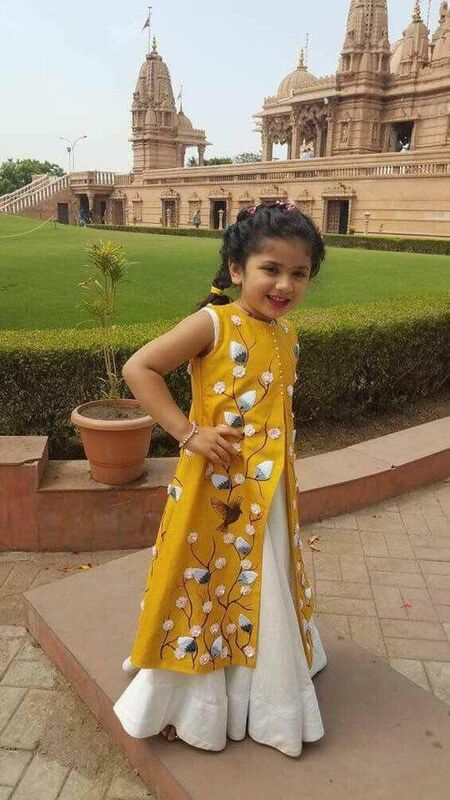 Stated below are top 15 ideas of Indian ethnic wear for kids. Nothing screams CHIC ethnic Diva more than the age old Anarkali style and a miniature form of it just multiplies its beauty! Dress up your little girl in this universally loved attire and she is sure to be the star of the evening! Mehndi, Haldi, Diwali, Eid, Roka or be it any other ceremony your girl will glow in an Anarkali. There's something about Anarkalis which has always kept them in the limelight and this style has never grown old. It has only evolved and the choices and different designs available today are limitless! What can be more interesting and eyecatching than you and your little one dressing up in matching outfits? It's totally going to leave people 'Aww'ing!! Choose your choice of fabric and ask your tailor to design two similar outfits in different sizes for you and your little princess. 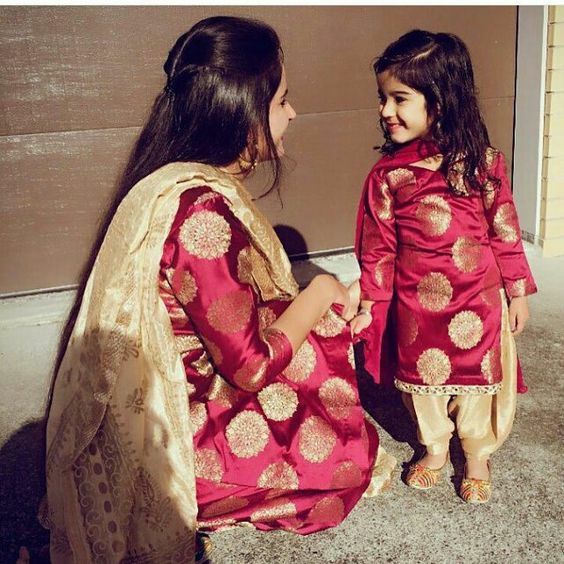 This trend is really taking the cake when it comes to Kids ethnic wear. Who says Shararas and Ghararas are a big woman thing? Cute little smaller versions of them can win people's hearts and make your kid look totally adorable the ethnic way. 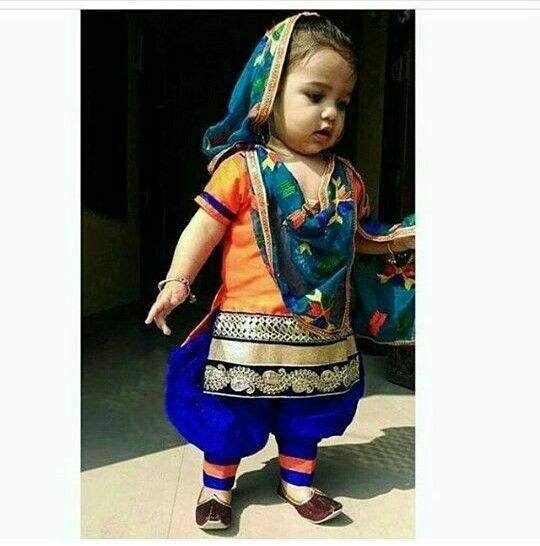 You can skip the dupatta if your little one is too small to handle it. Accessorise her well to go with the outfit and she is ready to rock! I have had this strange inkling towards Punjabi suits what with their sheer simplicity , comfort and yet the power to make anyone look absolutely gorgeous! 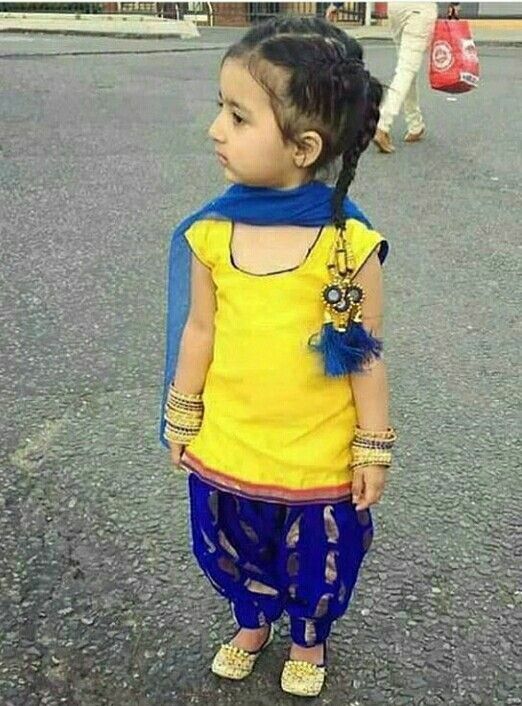 Kids ethnic wear is incomplete without including Punjabi suit in it. These suits are super easy to design and they won't cost you much too. 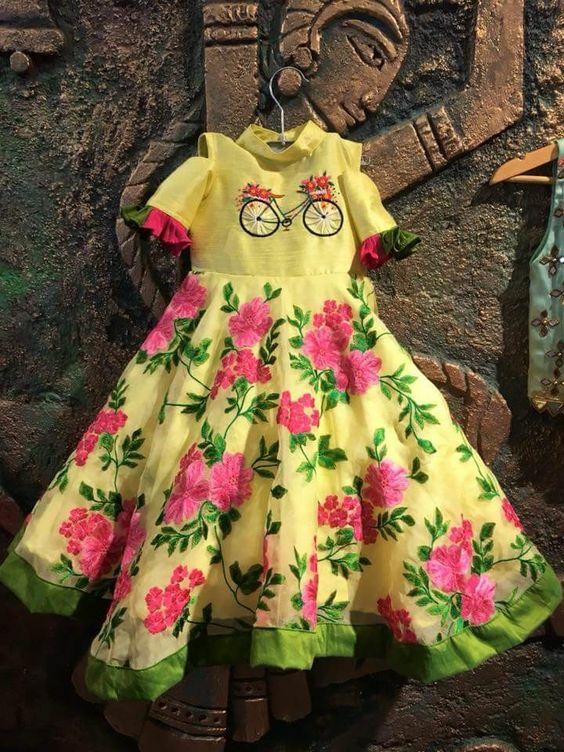 This will be the perfect Mehendi / Haldi outfit for your kiddo! Dhoti pants are the current range in Indian Mehendi dresses. 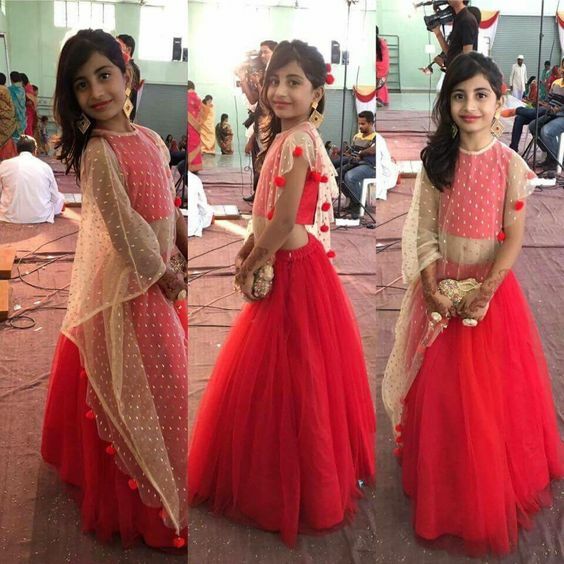 We have seen everyone from Real brides to actresses don them and now it's time your little kid wears it as it's the perfect choice of girl's ethnic fashion! Crop tops paired with long jackets and Dhoti pants gives you that chic Bohemian feel and it's the ultimate choice of outfit for any Ethnic Indian ceremony! Plain floor length Anarkalis paired with studded asymmetrical ethnic jackets look bomb! 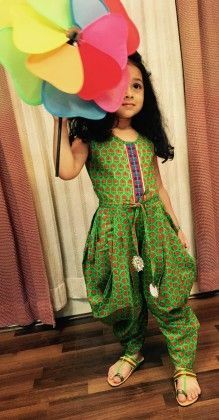 It's that perfect Kids ethnic wear which will make your girl steal the show! Pom poms and Latkans can give any outfit an ethnic touch! Plus points if your outfit has vibrant colours like fuschia pink and lemon green! The above dual toned kurta with side loops and dori will look totally adorable on little girls! Honestly saying that there's no other trend which interests me more than the floral one! Floral prints have a life of themselves and they are no doubt the ultimate choice for any Ethnic ceremony. 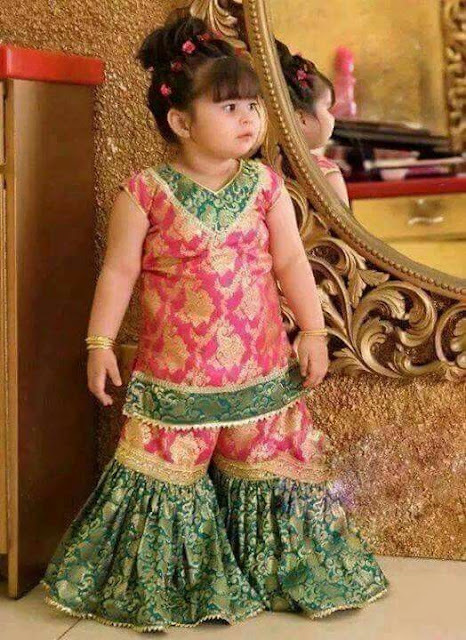 Floral print outfits look absolutely gorgeous and they will no doubt make your little girl look fabulous too! 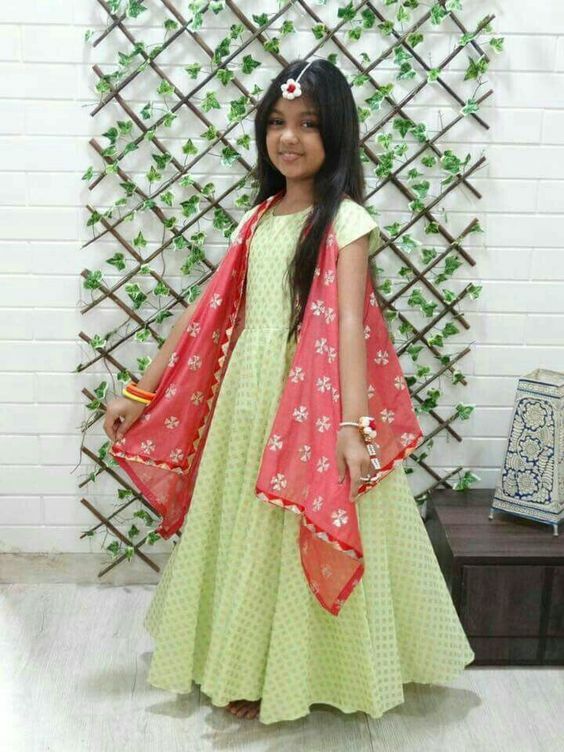 Which of these awesome Kids ethnic wear ideas do you like? Do let us know in the comments below!